The Polaroid Corporation’s decades-old Artist Support Program (through which it bartered equipment for a collection of photographs by distinguished artists) has now become a Creditor Support Program. Actually, this is not the collection’s “first significant exhibition,” as I know firsthand. 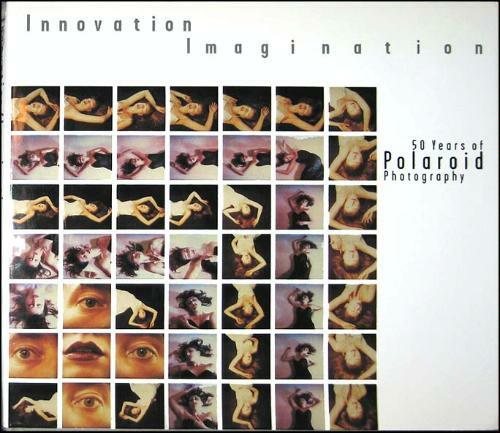 Back in 2006, I caught the show Innovation/Imagination: Fifty Years of Polaroid Photography at the Johnson Museum, the I.M. Pei-designed art facility of my alma mater, Cornell University. I entered with low expectations, thinking that this would be a corporate-promotion exhibition, assembled at low cost to the museum but of meager artistic interest. Instead, I was blown away by the instantly recognizable oeuvre of many well-known photographers, who had taken a relatively limited (but immediate-gratification) device and put their unique, unmistakable stamps on the instant prints. Halsman, Paul Caponigro, Robert Frank, Robert Maplethorpe, Chuck Close, Robert Rauschenberg, David Hockney, William Wegman, Lucas Samaras, Dawoud Bey, Yasuhira Ishimoto). Bonetti felt that the show wasn’t “as complete a survey as it might have been.” But for me, previously unaware of Polaroid’s enlightened sponsorship of artistic innovation, the show was a revelation. The federal bankruptcy court [U.S. Bankruptcy Court for the District of Minnesota] ordered the sale of the photos in our auction free and clear of all claims and encumbrances of any kind. This order was issued by the court after the court reviewed and specifically overruled the objections to the sale that were raised by a few photographers and others [emphasis added]. It is also significant to note that the federal bankruptcy court in a prior bankruptcy case involving Polaroid made similar findings of fact and rulings in a sale transaction that was approved in 2002. Gioia also told me that “approximately 13,000 items remain in the collection.” The 1999 catalogue put its trove of photographs at 23,000. Time and next month’s presale exhibition of highlights will tell. Is that what they mean by “staying true to Polaroid’s long-standing values”?